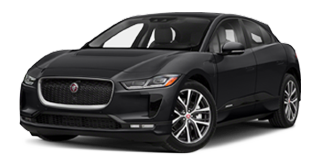 Jaguar Fort Myers also has a great selection of Jaguar Approved Certified Pre-Owned vehicles top choose from. Own an amazing used Jaguar with a complete inspection and certification to shows the best level of quality and safety. Get the body style you want. Get the alloy wheels you’ve wanted for so long. There is no better way to own a used Jaguar. This is the Jaguar of your dreams for far less than you imagined. The service department at Jaguar Fort Myers is second to none. Our expertly-trained automotive technicians provide the highest level of service and care using only factory authorized parts. You can schedule service to meet your needs using our convenient online form, or you can call a service advisor to make an appointment. We’re also ready to answer any questions that you may have about your Jaguar. Jaguar Fort Myers is proud to be amongst a few select winners of the Pride of Jaguar Retailer Excellence Award for 2013, 2014, 2015, 2016, 2017, 2018 and 2019! 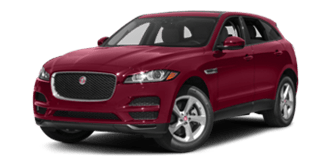 At Jaguar Fort Myers, we know the luxury car ownership experience. It doesn’t matter if you’re looking for a new or used Jaguar. We will get you into the perfect car. Serving the Cape Coral, Naples and Estero areas, our car dealership gives the best luxury car-buying experience and an amazing level of care. Jaguar Fort Myers won the Pride of Jaguar Retailer Excellence Award for 2014, 2015, 2016, 2017, 2018 and 2019. We prove every year how hard we work for our customer’s complete happiness when buying a new or used Jaguar. Customer service should match the level of the car you’re buying. A Jaguar isn’t just any car. It is a step above the rest, and so is our service. As representatives of the Jaguar brand, we know the level of excellence we have to give. That’s why our Jaguar dealership works hard to get the respect, loyalty and care to everyone who visits.